It's easier than ever to create a Custom Dashboard. 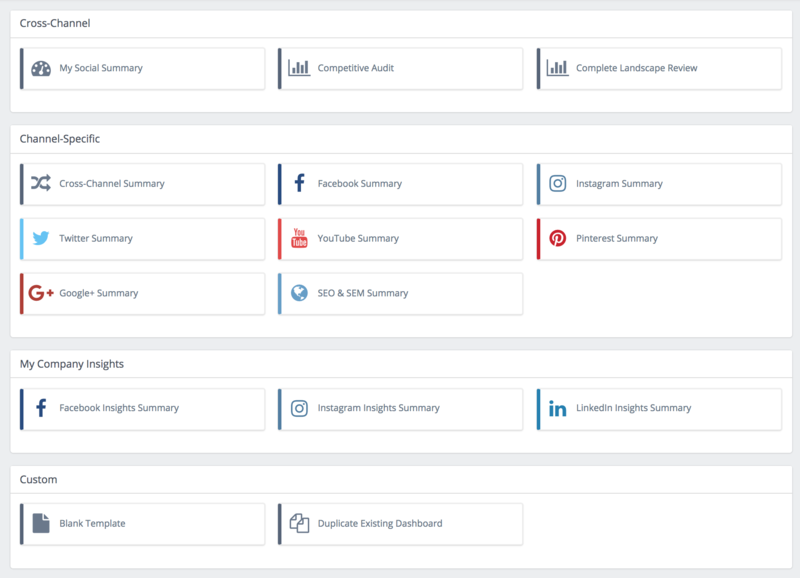 Custom Dashboard Templates are the easiest way to get started with custom reporting in Rival IQ. Pick a channel or topic and you'll instantly have access to your data in a Custom Dashboard. You can also swap out metrics and chart types to make it fit your needs! You can still create a Custom Dashboard from scratch or duplicate an existing dashboard.